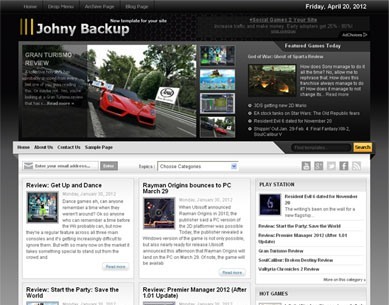 Johny Simpleblog was a simple template with classic style. There's no specific feature in this template. It's a white and grey color with 2 column blogger in there, easy loading and SEO friendly I think, 1 right sidebar, 3 columns footer, navigation drop down menu, ads ready, pagination for blogger ready, clean design template, and more. This template suitable for all type of content blog especially for daily blogs, but you can use it for your site anything you like to. I hope you enjoy it and happy blogging. 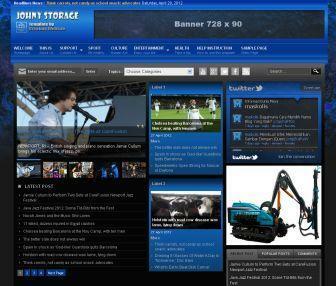 Johny Storage Dark blogger template is a dark blue free magazine style blogger template for portal news blog with automatic recent per category. It's a 2/3 column blogger template with right sidebar, 3 column footer, magazine style blogspot template, automatic featured content slider, automatic slider carousel, ads ready, pagination for blogger ready, dropdown menu, tab view menu, clean design template, and more. This template designed for portal news blog with daily updates. New feature : Static Page ready. 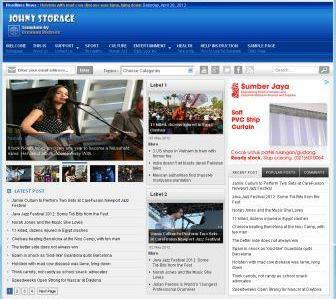 Johny Storage Blue blogger template is a light blue free magazine style blogger template for portal news blog with automatic recent per category. It's a 2/3 column blogger template with right sidebar, 3 column footer, magazine style blogspot template, automatic featured content slider, automatic slider carousel, ads ready, pagination for blogger ready, dropdown menu, tab view menu, clean design template, and more. 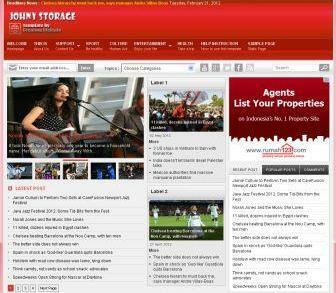 This template designed for portal news blog with daily updates. New feature : Static Page ready. Johny Storage Red blogger template is a red light free magazine style blogger template for portal news blog with automatic recent per category. It's a 2/3 column blogger template with right sidebar, 3 column footer, magazine style blogspot template, automatic featured content slider, automatic slider carousel, ads ready, pagination for blogger ready, dropdown menu, tab view menu, clean design template, and more. 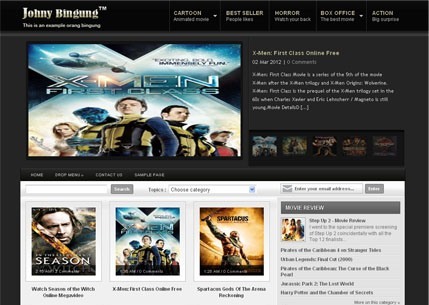 This template designed for portal news blog with daily updates. New feature : Static Page ready. Another template blogger for news content from Johny, Johny Storage blogger template is a free magazine style blogger template for portal news blog with automatic recent per category. It's a 2/3 column blogger template with right sidebar, 3 column footer, magazine style blogspot template, automatic featured content slider, automatic slider carousel, ads ready, pagination for blogger ready, dropdown menu, tab view menu, clean design template, and more. 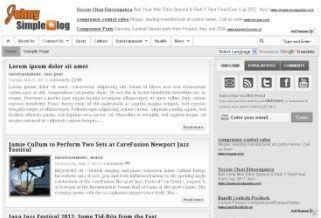 This template designed for portal news blog with daily updates. New feature : Static Page ready. Related post ready in the bottom of every post, and many more.